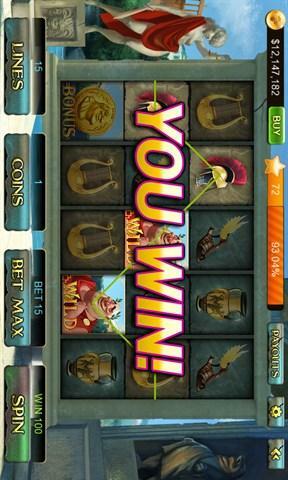 Dragonplay Slots is a new Vegas Style casino slots app where you can play amazing video slot machines anytime anywhere! A great great variety of Slot Machines. 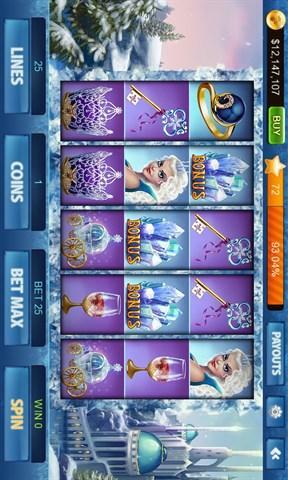 Try your best to unlock all the slot game modes. ► Fruit slots: 5-line, 15 coin multiplier, with bonus feature and free spins winnings multiplied by x3 ► Classic slots: 5-line, 25 coin multiplier, with bonus feature and free spins winnings multiplied by x3 ► Expanding Wild slots: 5-line, 25 coin multiplier, with an expanding wild feature on reel 3 ► Bonus coins and daily spins mean you’ll always have coins to play great slots like Mermaid Treasure and Temple of Wonders ► A simple interface means you can start playing in seconds ► Great casino slots, free coins and regular updates mean there’s always the right game for you WHAT PEOPLE ARE SAYING ABOUT DRAGONPLAY SLOTS MACHINES ☆ ☆ ☆ ☆ ☆ "Awesome game" ☆ ☆ ☆ ☆ ☆ "Fun, challenging and many different games to choose from. Bravo!" ☆ ☆ ☆ ☆ ☆ "Love it! Expanding Wild is amazing" ❤ Like us on Facebook: http://www.facebook.com/dragonplayslotcity ❤ Dragonplay slots is a slot simulator for entertainment use only. It is free to play, and you can choose to purchase additional coins with in-app transactions.